Blue Ocean Robotics is a Danish company founded in February 2013. The founders, Claus Risager, Rune Larsen and John Erland Østergaard, are experts in robot technology, innovation and are serial entrepreneurs in the field. Blue Ocean Robotics develops and deploys new, innovative, early-stage robotic solutions encompassing a wide range of business segments. We aim to connect early-stage robotic solutions from across the globe to new markets. Hence, to deploy new solutions in close cooperation with end-users in different market segments and develop the solution according to the end users’ needs. As the commercialization of the early-stage robotic solution matures, Blue Ocean Robotics spins out a new startup company based on the solution. 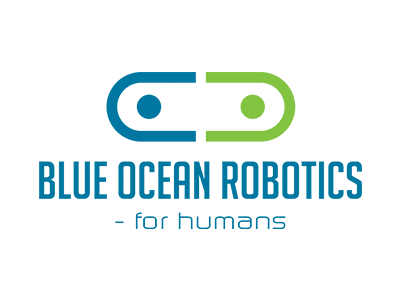 Blue Ocean Robotics has grown from the three founders to more than 25 employees in less than nine months, and is exploring the possibilities of opening subsidiaries in the US, Baltics, Germany and the Middle East, and has a rather unique “globally-local” strategy which aims at being present in all major robotic hot-spots around the globe.